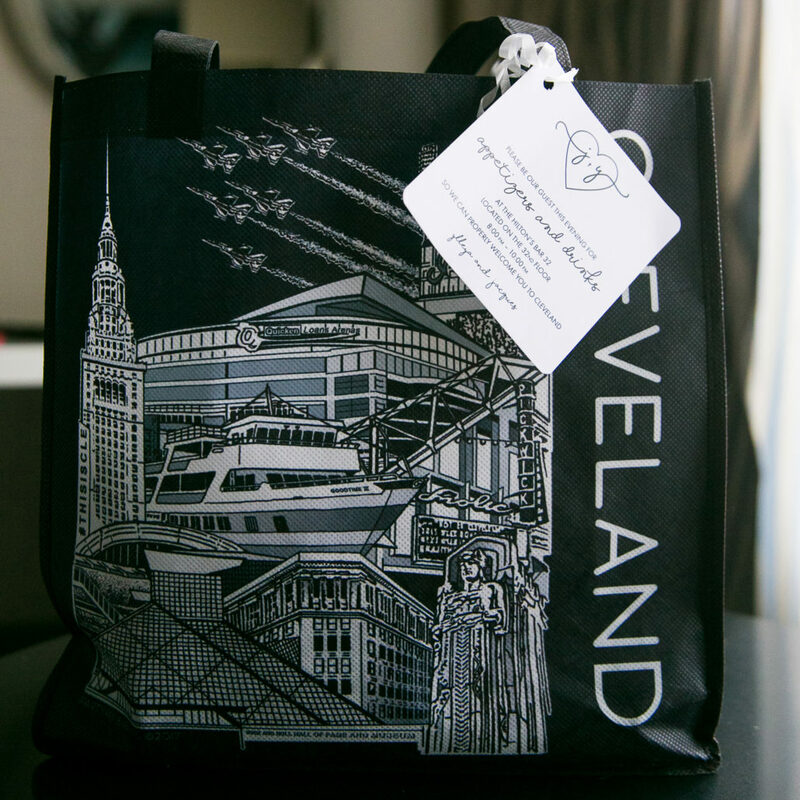 Give the guests at your wedding, corporate event, gala, or Bar or Bat Mitzvah a little taste of Cleveland with a custom welcome bag! 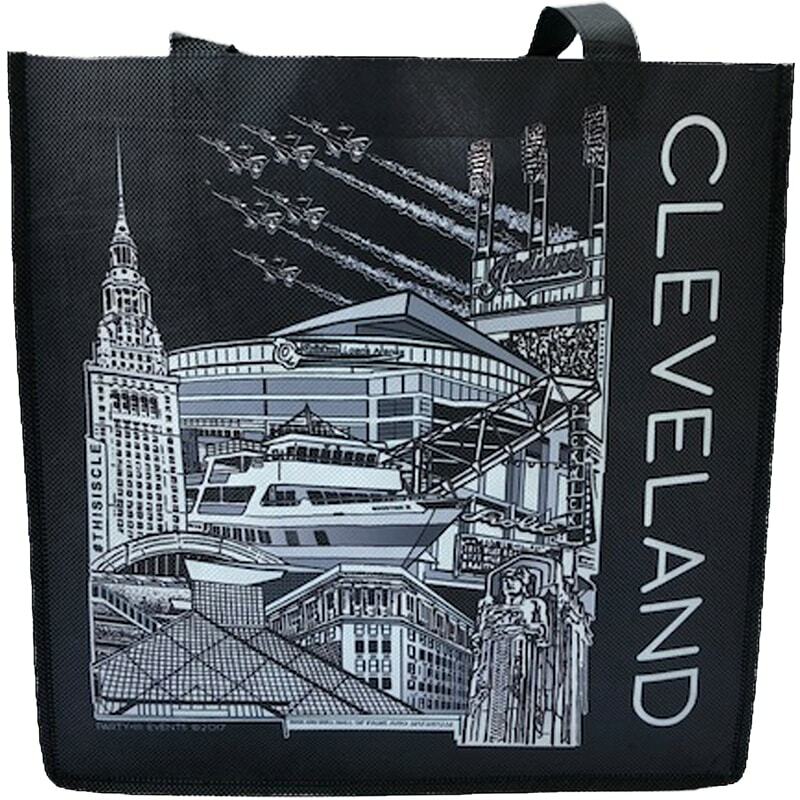 We start with our exclusive Cleveland canvas bags and fill them with a variety of drinks, snacks, and iconic Cleveland themed treats – think Malley’s chocolates and Bertman Original Ballpark Mustard. Of course, we can easily choose items that fit your guests’ specific dietary needs. 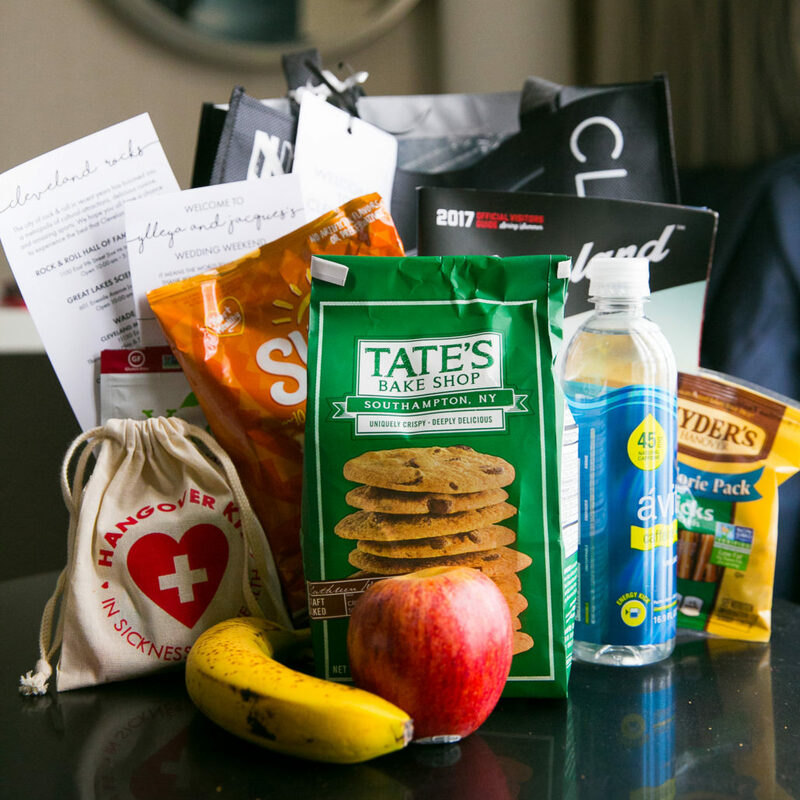 A welcome bag is an unforgettable surprise as guests arrive at their hotels before the big event! Our graphic designers can help you customize your bag with specially designed welcome letters, itineraries, maps, lists of area attractions, and more. Before they even arrive at your amazing event, make sure to leave that lasting impression with family, friends, clients, or colleagues. 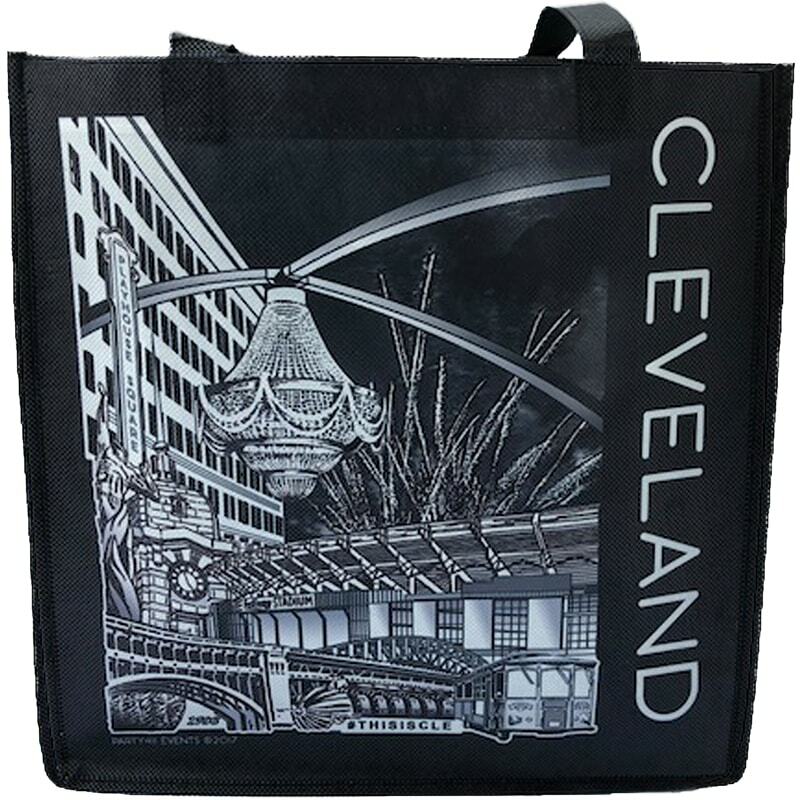 Our customizable Cleveland Welcome Bags can fit a wide range of budgets, with filled bags starting around $20. Party411 Events even goes the extra mile – delivery is available to local hotels so you don’t have to lift a finger!